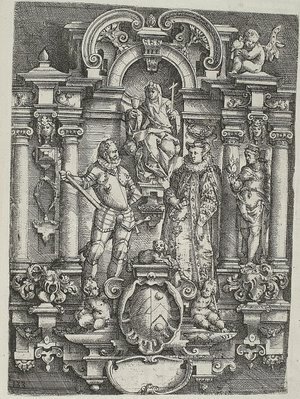 Wendel Dietterlin (1550-1599) was born in Konstanz in southern Germany but moved to the (then) autonomous Strasbourg district where he obtained citizenship during his twenties. Much of the online information seems sketchy both because of scarcity and also dubious translations. Dietterlin is said to have trained as a painter under Philipp Memberger in Konstanz and may have received building/architectural instruction in Suttgart. 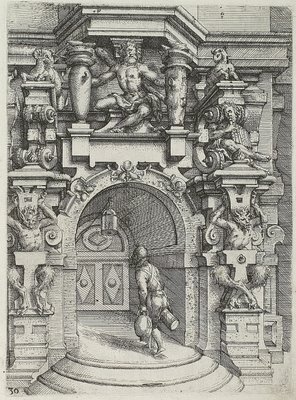 His major trade appears to have been fresco painter but he was obviously well schooled in the art of engraving. 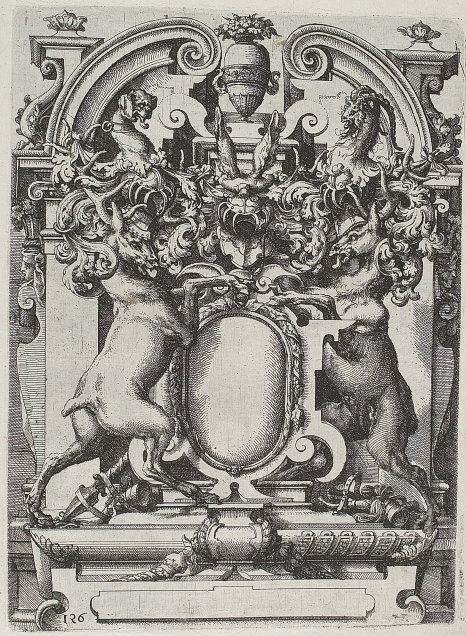 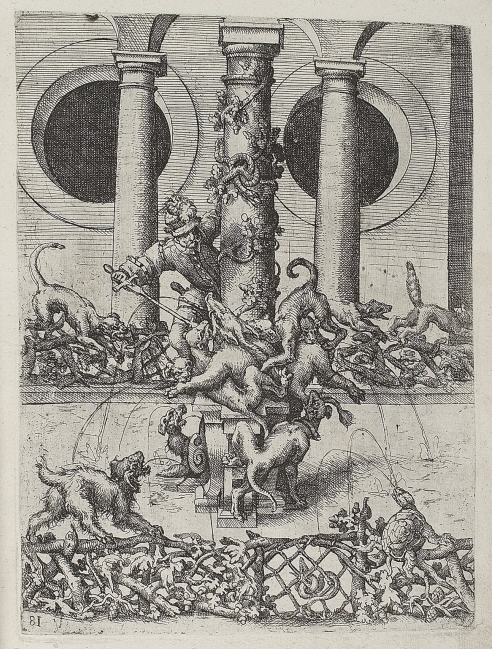 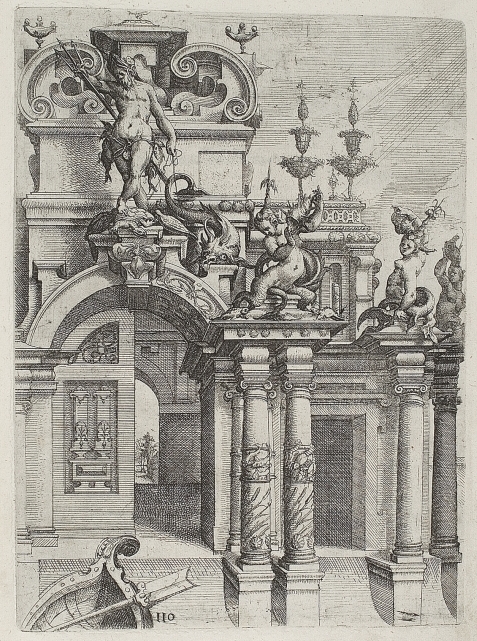 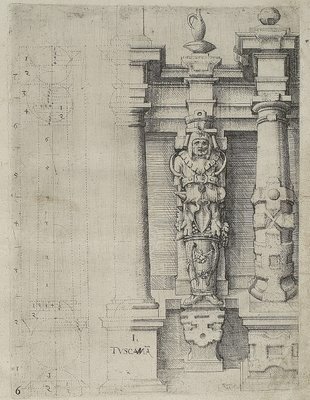 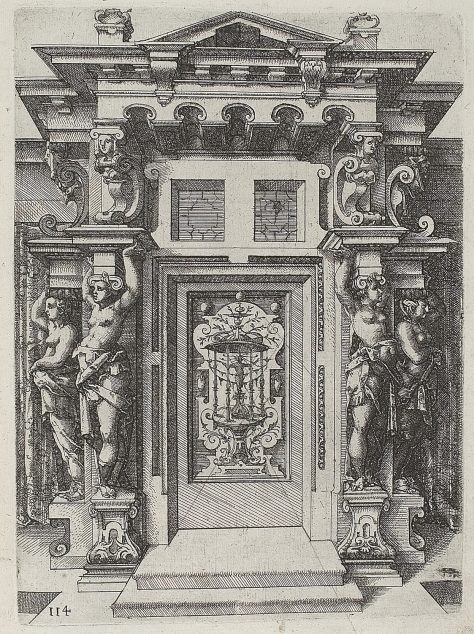 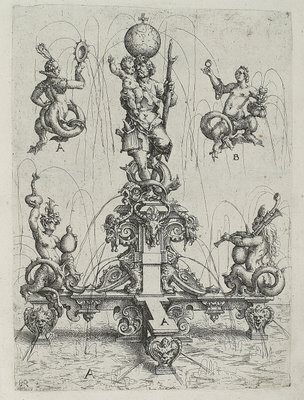 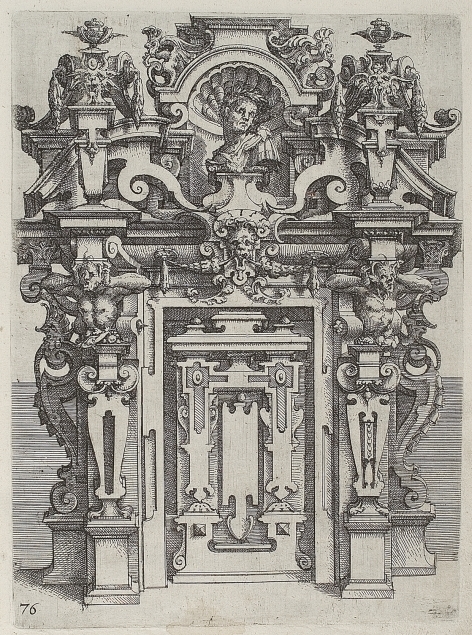 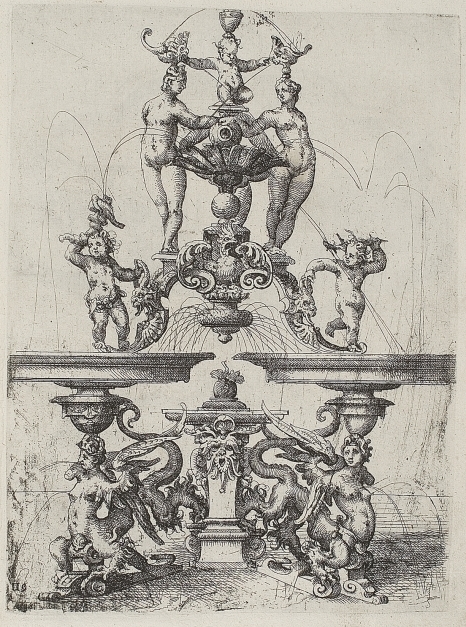 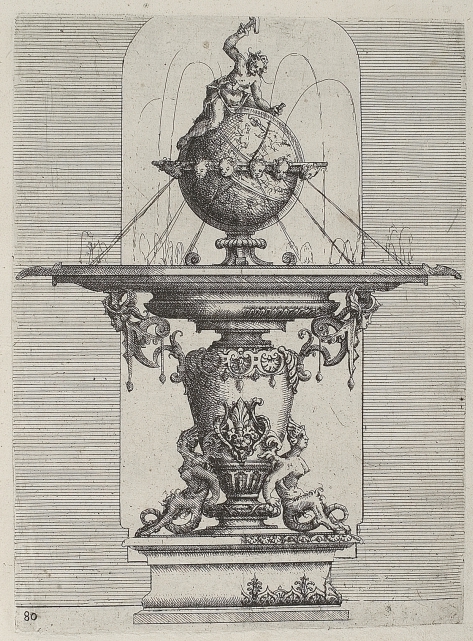 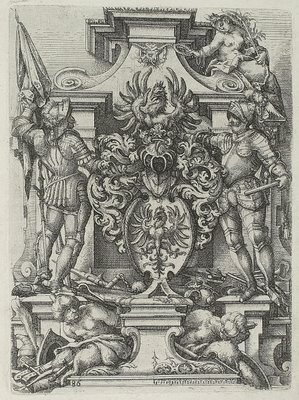 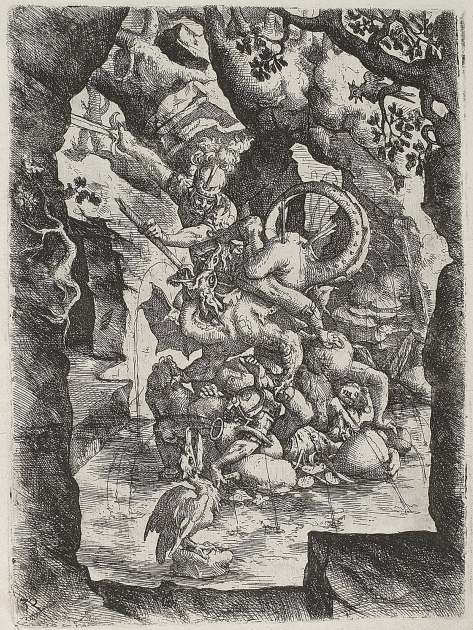 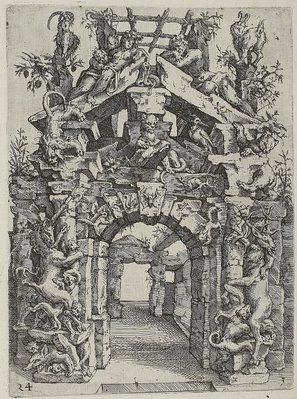 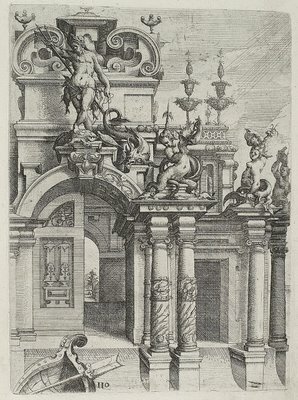 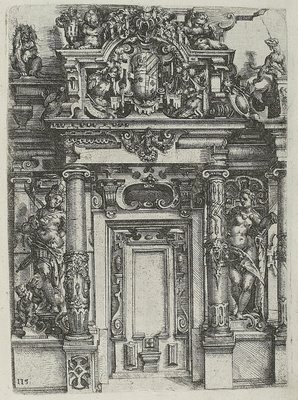 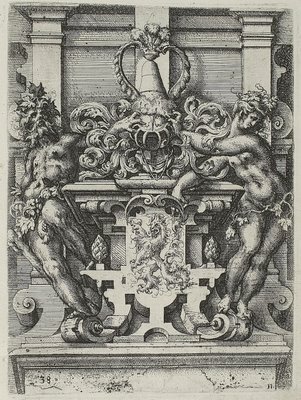 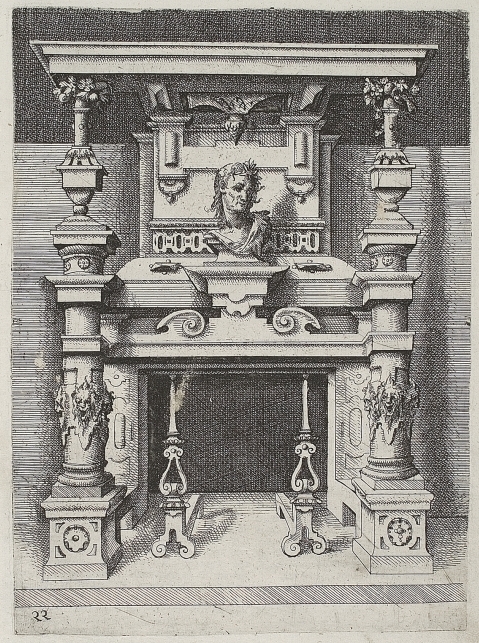 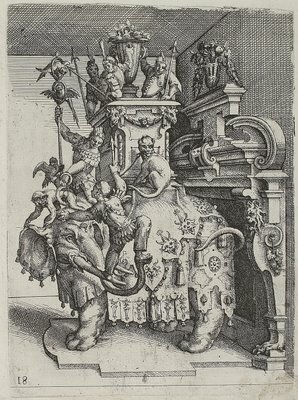 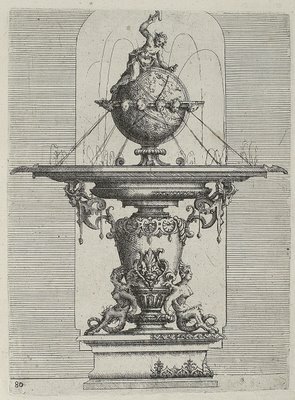 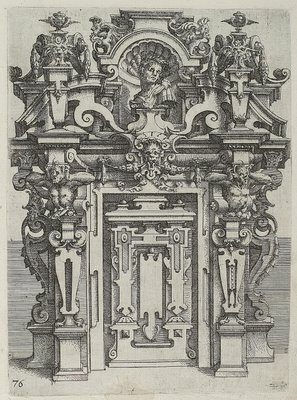 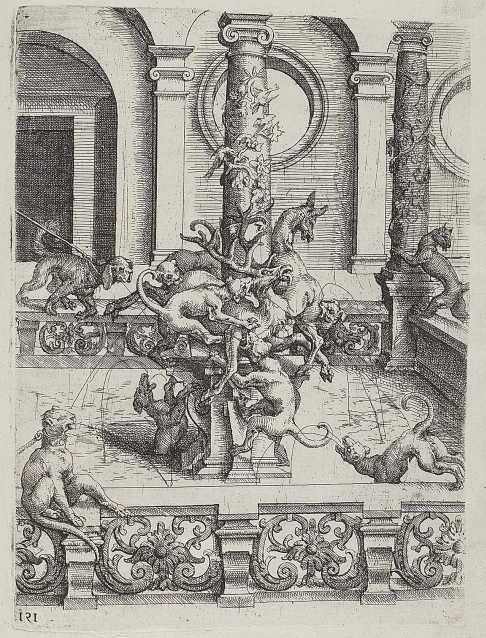 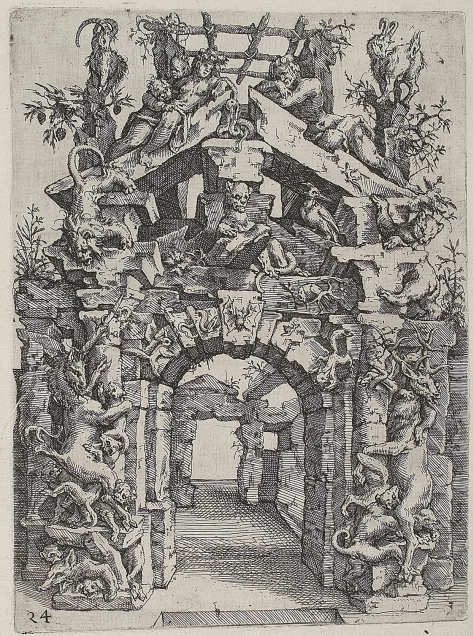 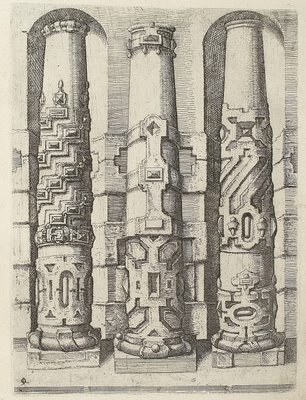 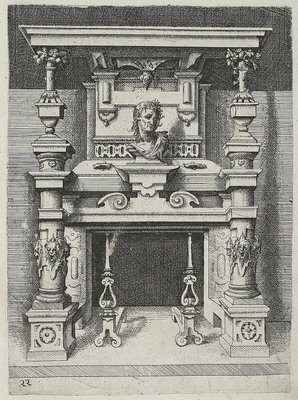 “One of the most interesting and important architectural works of sixteenth-century northern Europe is the ‘Architectura von Ausstheilung, Symmetria und Proportia der fünff Seulen’ of Dietterlin... [Dietterlin’s] artistic fame and influence was unparalleled in Germany in the first two decades of the seventeenth-century, and in this respect and others, his significance, especially in his dissemination of Renaissance decorative forms in Germany, parallels and even transcends that of Vredeman in the Netherlands.... What makes Dietterlin’s decorative style so unique and important for architecture is twofold: first, the very high artistic quality of the 203 engraved plates; and second, the way in which the painter (as he identifies himself on the title-page) attempts to interpret the Vitruvian and Serlian tradition of classical architecture in a private, lively, and imaginative style that was, as one of his earlier biographers phrased it, ‘almost impressionistic,’ if not a forerunner to the German baroque. 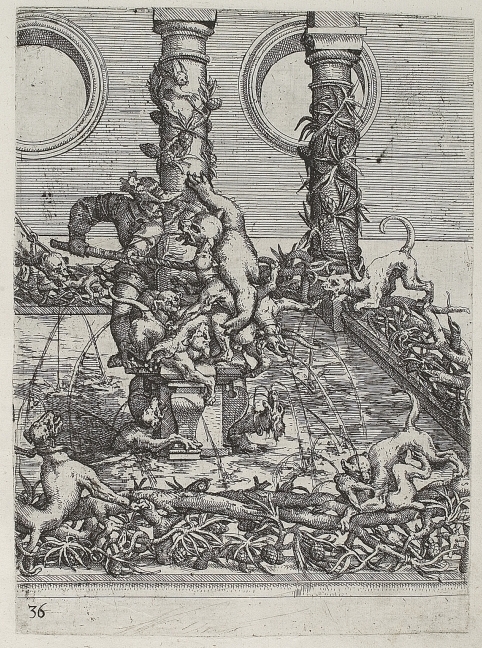 See also Part I - I've posted about 20% of the book illustrations in total. Although I tended to save the most bizarre pictures, as is my want, it is a fair representation of the book - the overwhelming majority of the illustrations are of a similar eccentric flavour. Small biography of Dietterlin (an ancestor of Albert Schweitzer). 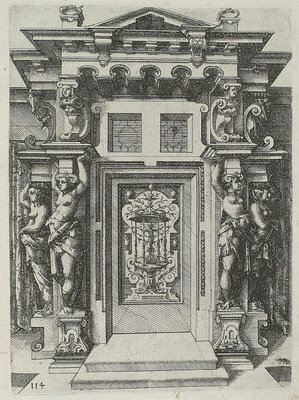 "Sir Banister Fletcher's A History of Architecture" 1896 - this site has pdf background articles on a number of architectural topics : 'The Architecture of the Renaissance and Post-Renaissance in Europe and Russia' is well worth reading if you have an interest. 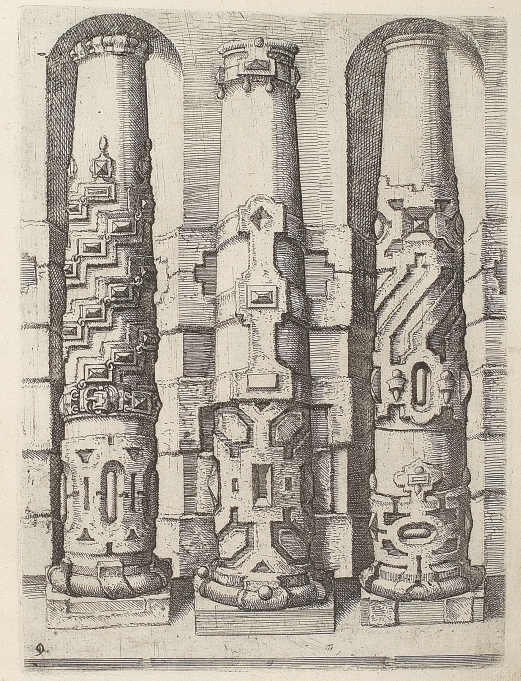 Imaginary Design on Dietterlin and Hans Vredeman de Vries. 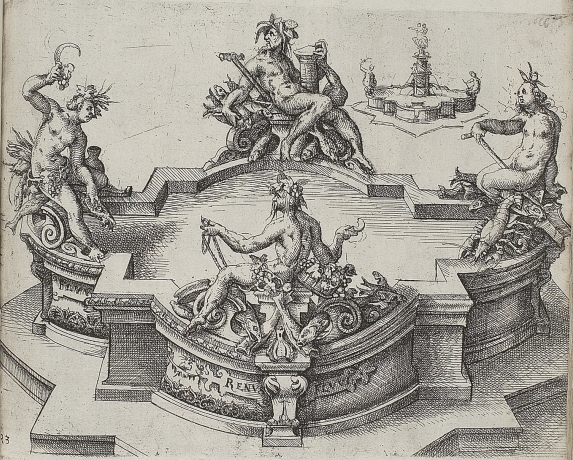 Previously related: Hugues Sambin & Joseph Boillot.